I have had this happen before. The last guy said he spilled coffee on a book I bought. Another said he lost it and so forth. I asked the guy who spilled the coffee to send the book anyway and he then said he threw it away. This seller last month did respond to my email and said he had his house broken into and this book was stolen. He said most of his other books were at his work and they were ok. He said only a few books at his house were taken and the police were not interested in the crime as it was only comic books taken. He did however say the next purchase I make from him would be free shipping. 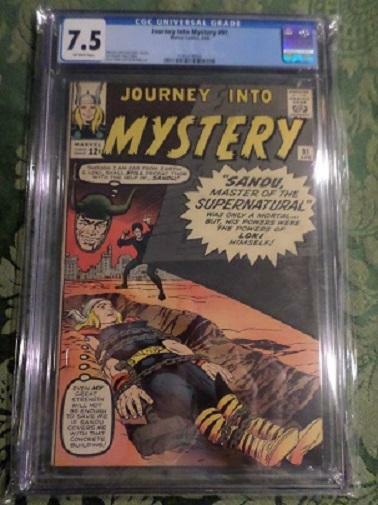 The other comic was a Journey Into Mystery 90 7.5 CGC on a well known dealers website. I bought it on a Thursday as I saw his con schedule he was at a Wizard world con the next day and I thought maybe he would take it and sell it there. He sent a refund on Saturday am and said( he had sold this book sometime before and it fell through the cracks). The funny thing was that the book disappeared right off his website instantly just like the one I had purchased a couple of weeks before did. He also offered free shipping to me on my next purchase. I can only hope the dealers stories are legit but really there is no way of knowing for sure. On a brighter note a Journey Into Mystery 91 7.5 I bought recently did arrive as expected and it's picture is attached. 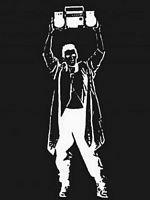 Well that's all for now. Previous entry HULK 2 Has returned to my collection finally. you have the right attitude ,.... just go with the flow and hope it gets better ! I had a similar experience with a seller on eBay so I blocked him and won't buy anything nor will he be able to buy from me. Yes, they are some amazing stories. I can't protest too much as the well known dealer has some other books I may buy in a day or two. Getting the free shipping will require me to email him when the book or books are in the "cart" as I am sure he's forgotten his offer already. One eBay seller years ago used the excuse of "having the book in his trunk and was rear ended" while driving to the post off. Those are some crazy stories. I don't think that's ever happened to me, thankfully.